It’s a question that kids always seem to be asked and most kids’ answers change over time. After seeing a fire engine in the parade – I want to be a fireman! A few months later they watch their dad or mom working on the car – I want to be a mechanic! The veterinarian visits – I want to be a vet! (one of my daughters). How we respond to children’s answers can make a difference in their lives, can’t it? I mean no one wants to dream of something and have hopes only to be met with scorn – you’ll never be able to do that. I think kids should be allowed to dream that they can be anything they want and be encouraged to follow that dream. When I was a little girl, I had very specific ideas about what I wanted to be when I grew up. And those ideas definitely did not involve being girly. 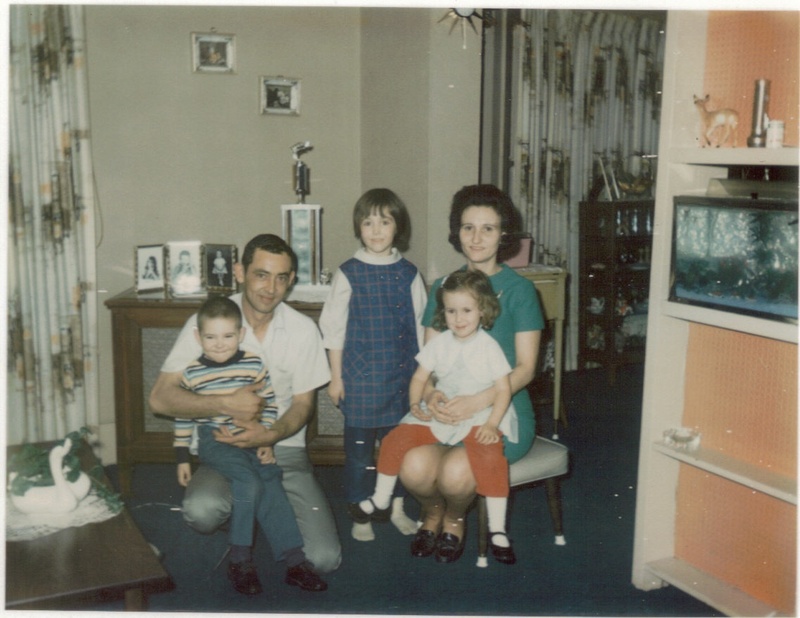 Mom had tried for years – putting barrettes in my hair, putting me in dresses and lacy shirts. As soon as I was out of her sight, I would pull the barrettes out and “lose” them. And before I ran out to the school bus at the last minute, I would change my shirt into something tomboyish. My older sister tried to convince me to change my ways by telling me I’d never have a boyfriend. My standard answer: “Good! I don’t want one!” My parents finally resigned themselves to the fact that I was never going to be a normal girly girl. I am the littlest one sitting on Mom’s lap. Note the barrette in my hair and the girly shirt and shoes. You know it’s partly Dad’s fault. I mean I was five years old when he bought me my first gun (a Daisy b.b. gun) and my first “motorcycle” (a Honda 50 trail bike). 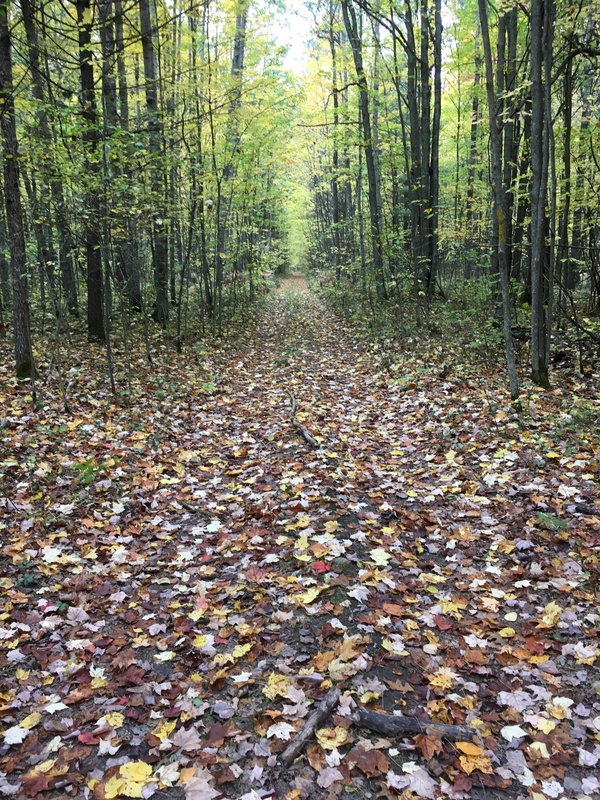 I spent most of my childhood in the woods behind our house, climbing trees, building forts, riding my motorcycle, walking with Dad while he explained to me the difference between a white oak leaf and a red oak one, or a sugar maple leaf vs. a red maple. The acorns belonged to the oaks, the spiky nuts that fell into our pool and poked our feet dropped from the big beech tree that stood nearby. The little squirrels were red squirrels that chattered and barked, the bad boys who chased away the bigger, prettier gray and fox squirrels that we liked so much. There were bats that flew over our pool at night when we had the lights on. They dove and swooped to catch the insects, while we screeched excitedly, convinced that they would tangle themselves in our hair. The constant high-pitched peeping of the tree frogs, interspersed with the bonging buzz croaks of the bullfrogs floated in through my bedroom window calling me to come outside. All these fascinating things drew me to a life in the out of doors. The things I could learn, see, research, write about… there were no limits to my dreams. I was, after all, a product of the 70’s, with t.v. shows like Grizzly Adams and songs by John Denver never failing to make my heart ache with the dream of living in the mountains someday in the middle of nowhere studying wild things. During vacations back then, we drove through the Rocky Mountains out West, camping in just about every National Park that existed out there. I fell in love with the mountains and wild places and decided I’d be a “park ranger” someday (that was the closest thing on the school’s Careers List to what I wanted to do). In high school I had at one point seriously considered becoming a veterinarian instead. But during the time I spent in my senior year working at a vet clinic, I spent an inordinate amount of time looking out the window at the woods that surrounded the clinic – a clue that maybe veterinary medicine was not truly where my heart lie. When I started at MSU, I found out they had a fisheries and wildlife program, and I couldn’t imagine a better major for me. 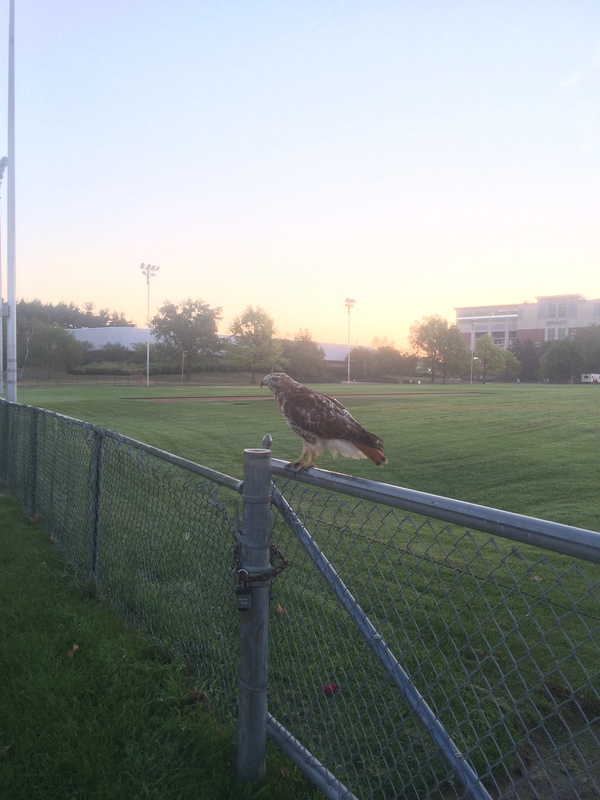 A red-tailed hawk on MSU campus. I spent four years at MSU earning my Bachelor’s degree. During that time I worked in the wildlife nutrition lab and helped grad students with their research. The research work was the best part of my experience. One semester I helped a graduate student who was studying metabolic rates of red-tailed hawks and great horned owls. The birds had been injured in the real world, missing a wing or a leg, and there was a room of cages in our building where they were housed. My job was to remove each bird from the cage and place them in a body wrap with a hood for keeping them restrained and calm while the grad student weighed them and cleaned their cages. My fieldwork partner, Ed Olexa, holding a Peromyscus maniculatus we’d captured. Another project was capturing and ear tagging small mammals throughout some red pine forests and aspen clearcut regrowth stands up north. I also helped track radio-collared elk as well as did a variety of habitat studies throughout northern Michigan. Two summers I worked at a nature center, where I taught summer camps, gave guided tours, and other work and of course during all this time I was also taking full-time classes. There are many stories within the pages of my four years at MSU, but my bigger adventure began after that when I was accepted into a Master’s Program at the University of Idaho to study bighorn sheep, which I’ll share in my next post. This entry was tagged childhood dreams, michigan state university, tomboy, wildlife biology. Bookmark the permalink.